With my garden coming into full production I've been VERY busy canning for the first time! I hope you all forgive the lack of freebie posts! I definitely see canning and other food preservation as thrifty, especially if you grow your own vegetables. 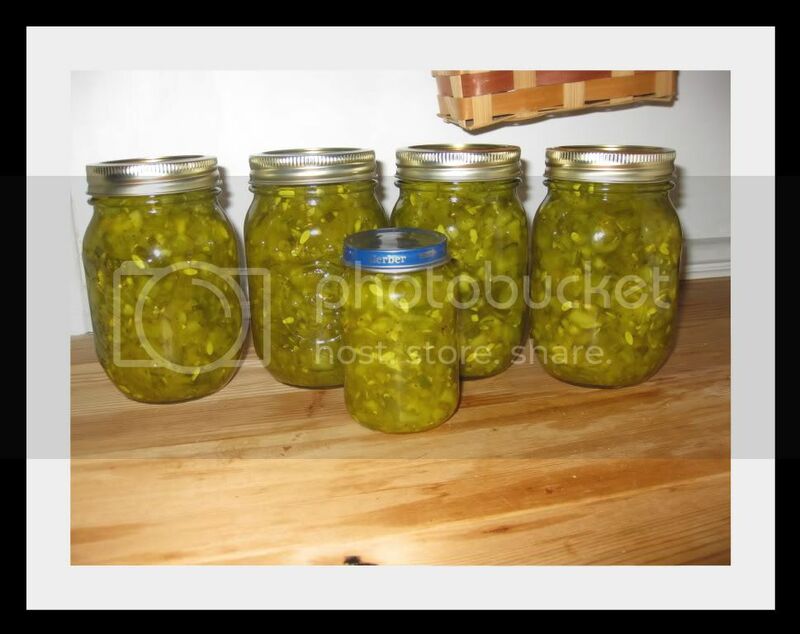 Here's a very simple sweet pickle relish recipe that I made just yesterday! You can even can this yourself without any super fancy equipment. This recipe is care of a friend on an online forum. *Yes. In the picture above I have a small babyfood container full of the relish. I gave this away as a "sample". It was not canned so it had to go straight in the fridge and eaten quickly. One must only can with Mason jars. Mix the cucumbers and onion together and let it sit for about 2 hours. Drain it really well (there will be a lot of water). In a large pot, combine everything and boil for about 20 minutes. Then I followed the directions in the Ball Blue Book for Sweet Pickle Relish (leave 1/4-inch headspace. Process in a boiling-water canner for 10 minutes).